Recently, my husband and I attended a bowling birthday party for a friend who was turning 60. Shortly after arriving at Bowlmor in Greenwich Village, I noticed that other than my husband, a girlfriend and me, everyone—male and female—was wearing a plaid flannel shirt. Apparently, the style staple among Brooklyn hipsters had become a must-have for all New Yorkers, including over 50 hipsters. Since then, I've seen colorful plaid coats, shirts, skirts as well as handbags and shoes. No longer is the Burberry plaid the only plaid in town (thank goodness!). Lately, I've been dabbling in plaid. I must admit I’m enjoying the trip down plaid memory lane. The last time I wore a plaid flannel shirt was in college and the last time I wore a plaid skirt (like the kilt above) was in middle school or younger. For this post, I’m sharing a few styling ideas I’ve had since embarking on my plaid déjà vu. As a student at a New Hampshire college many years ago, I wore plaid flannel shirts with jeans or corduroy pants all winter. They were practical (warm and machine washable) and a popular "coed look" at my school. However, the big, boxy lumber jack shirt isn't a look I wish to replicate now that I'm over 50. Fortunately, this season’s plaid shirts include ones with more structure. 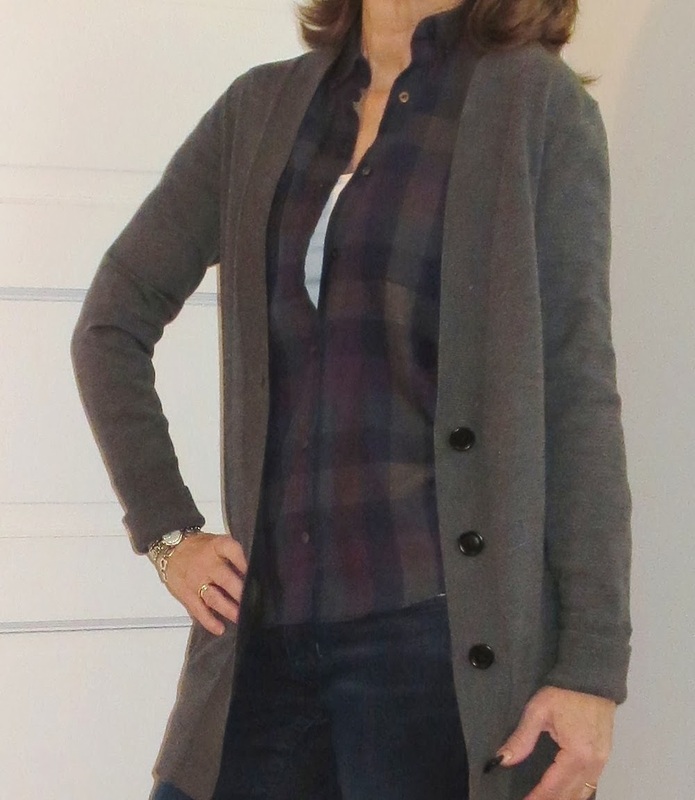 To added a little extra femininity, I wear my plaid shirt with a camisole, a lightweight long sweater, jeans and boots with a slight heel. My office is always cold, so I tend to wear layers. I have plenty of blouses with feminine accents--lace, ruffles, scoop necks and so forth. Sometimes, however, I like to mix it up with a more masculine look. On days when I’m not making a presentation or running a workshop, I'll wear a flannel plaid shirt with a straight shirt, a vest and ankle boots. The feminine skirt balances the masculine shirt and the mini-houndstooth vest adds warm and structure.